Are you actually in Antarctica, JJ?! Sad to know that there are less than 800 typists from Nepal 😦 . 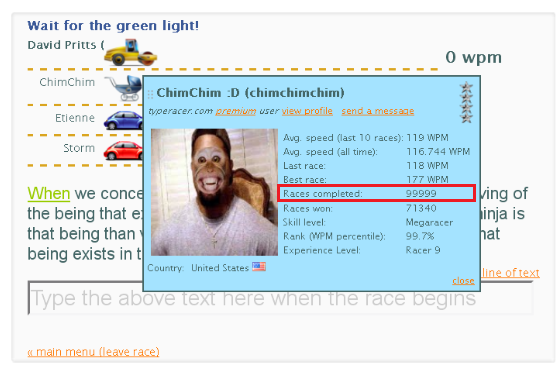 Could you please inform that how many typist from NEPAL are active in Type-racer? In 2014, 399 registered users from Nepal raced on Typeracer. This does not include people who raced as Guests. You can download the full data from the link above. How about a list of member with the most races for each country? Hi Anonymous. We may follow-up with more statistics like that in the near future, if it’s interesting to our users. Who has the fastest typists per capita?